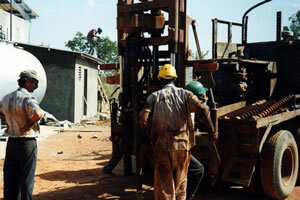 The Ghanaian Australian Goldfields mining operation is Western Ghana first commenced production in 1990. Difficulties were encountered with a critical element of the electrical infrastructure. Lord Consulting Engineers were commissioned to investigate, report on and make recommendations to address these difficulties. This work was undertaken on an emergency basis. The investigation commenced on site within 48 hours of the first communication with power being restored 24 hours later.